A sales report provides a record of the calls or sales made by a particular individual or company during a specific period of time. They are typically distributed to members of a sales team or company executives for comparison purposes. According to the Houston Chronicle's Small Business Division, there are four main elements that make for a solid yearly sales report: introduction, sales figures, marketing efforts, and overall achievements. This section provides an overview of the sales and marketing departments and any changes experienced or instituted in those departments over the past year. It also contains a list of goals for both departments and states whether those goals were met. This section provides statistics regarding the number of sales made in the past and how those numbers relate to the company's growth. It also details how those figures match with sales goals. This section identifies the company's main target audience and market. It then discusses how marketing efforts were directed at those targets. Many times, this section includes case reports to demonstrate the connection between marketing efforts and target audience and market. In this section, the company's sales and sales trends are discussed in terms of how they meet the company's overall goals and bottom line. This section often contains graphs and charts. The Revenue Game reports that the purpose of a sales report is to "anticipate results and not react." According to the publication, the main goal of a sales report is to ensure that you're doing enough of the right things to keep a company in the black and help it grow. Because of this, it is important ensure that the information included in a sales report not only lists what was accomplished but that it also connects sales figures to the company's goals. Dynamic 3i Sales Analysis Module: This free software provides information for two years of sales history to use to discern trends or for help with planning and forecasting. It can create reports for each month or the year to date. Softonic.com identified this free program as beneficial. Lokad Sales Forecasting: This program is recognized for its helpfulness in providing daily, weekly, and monthly sales reports for numerous products at a time. 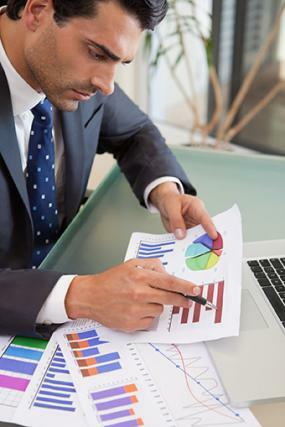 It is reported as providing excellent sales forecasting accuracy with limited sales data. The program uses Cloud Computing, and its Express program is free. FreeDownloadManager.com identified this option as a good free sales report software program. Tableau is highly ranked because it is quick to set up, even for users with no programming knowledge. BusinessBee.com recommends this program because it contains extensive performance comparison capabilities. It costs $999 per user, but a free trial period is available. Prophet OnDemand is created by Avidian Technologies. It is ranked an 8.5 out of ten by TopTenReviews.com because of its integration with Outlook and ability to coordinate sales reports with customer contact information. Reports created using the program can be quickly transmitted to an Excel document and quickly retrieved. The company offers three levels of software, each designed for a different size business. "Prophet Enterprise" is recommended for growing businesses and costs approximately $180.00 per user per year. The company offers a free trial. Zoho Reports is recommended by Appstorm.net because of its easy use and ability to help companies mine their data. Although the review states that the program's user interface isn't the most eye-catching, it does report that the collaboration options, variety of reports, and thorough graphs and charts make the product stand out. The business edition of the program costs $200 per month for up to five users, while its Professional edition costs $35 per user per month. When creating a sales report, keep in mind that the report's main purpose is to help you analyze the company's success in meeting its goals. Software programs can help you identify areas needing improvement or those in which you could expand the company's horizon for further growth.